In 2012, distracted driver related crashes in the United States killed 3,328 people, according to the National Highway Transportation Safety Administration (NHTSA). That number represents just under 10% of the total 33,561 vehicle-related deaths in 2012. As the use of GPS devices and cell phones increases, the risk of distracted driving accidents and fatalities increases as well. The potential for injury increases, too. In 2011, 17% of all injury accidents were distracted driver related crashes. That means that distracted drivers caused 376,890 injures of the total 2,217,000 injuries reported in 2011. Distracted driving habits can be easily curtailed, and that would clearly lower the overall number of vehicle-related deaths and injuries every year. But, we spend so much of our lives in our cars, and distracted driving covers so many activities, that it’s become a very hard habit to break. Distracted driving occurs when the driver engages in any behavior other than paying attention to the road. Everything from talking on a cellphone, texting, checking social media sites, grooming, changing the radio, or using a GPS device is considered distracted driving. A car accident is 23 times more likely when a driver is distracted. The most dangerous type of distracted driving behaviors are those that involve visual tasks, such as texting, GPS use, and grooming. In addition to the increased likelihood (23 times) of an accident, those who are visually distracted are another 3 times more likely to cause an accident. Distracted driving is a habit that is easily adjusted. By following common sense tips, you can avoid becoming the cause of one of the thousands of hundreds of thousands of distracted driving accidents every year. Here are a few simple modifications you can make in your own driving habits to ensure that you’re doing your part to drive safely. 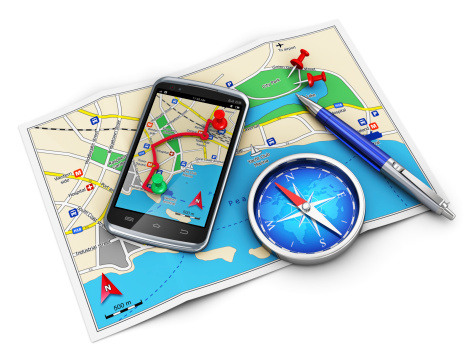 Pull Over: If you need to adjust the settings or destination on your GPS device, pull to the side of the road to do it. The same thing goes for placing or taking a telephone call, reading or sending a text, eating, or applying makeup. Any distracted driving task that requires you to take your eyes off the road should be done only after you’ve pulled over. Looking away from the road for 5 seconds while driving 55 MPH is equivalent to driving the length of a football field while wearing a blindfold. Prepare Ahead: If you need to use GPS to reach your destination, set it before you begin your drive. If you need to eat, make a call or get ready, don’t do it in the car. Either engage in those activities before you leave or once you reach your destination. Get an App: At least as far as distractions that are caused by cell phones go, you can cut down on your risk by loading an app onto your phone. There are apps available that will send auto responses, both text and voice, to anyone who tries to contact you while you’re driving. There are also apps available that don’t allow calls or texts to be placed at all while the car is in motion (with the exception of emergency mode). That way, you won’t feel tempted or obligated to respond. Distracted driving is an increasingly dangerous habit. We are a nation of multitaskers, and often, people are engaged in distracted driving without even knowing it. Awareness of the problem and easy proactive measures, such as preparing for trips ahead of time and installing apps to cut down on a driver’s cell phone use, can work well in lowering the number of deaths and injuries associated with distracted driver related crashes.